Born in Sydney Australia in 1984, Pei-Jee Ng grew up in Adelaide and studied at the Queensland Conservatorium and Elder Conservatorium where his teachers included Janis Laurs and Barbara Yelland. In 2001 he was Symphony Australia Young Performer of the Year and in 2003 entered the Royal Northern College of Music on a full scholarship studying with Hannah Roberts, Li-Wei and currently Ralph Kirshbaum. He was selected for representation by Young Concert Artists Trust (YCAT) in May 2008. During his studies Pei-Jee has been grateful for support from the Hattori Foundation, Australian Music Foundation, Tait Memorial Trust, Myra Hess Award, Countess of Munster, Charles and Elsie Sykes Trust, Marten Bequest and the ABRSM. Recent engagements include performances of Tchaikovsky's Rococo Variations with the Hong Kong Philharmonic, the Kalevi Aho Double Cello Concerto with the Oulu Symphony, Adelaide Symphony and The Queensland Orchestra and an appearance in the opening recital of the 2007 Manchester International Cello Festival. 2008 saw the release of his debut CD Phoenix Story with Melba Recordings in Australia, featuring works by Chopin and Kats-Chernin; a performance at Lincoln Centre, New York and an appearance at the 2008 Adelaide International Cello Festival with the Adelaide Symphony of a newly commissioned work Helios, Helios for 2 cellos and orchestra by Estonian composer Tornu Korvits. Pei-Jee Ng has also performed with the Malaysian Philharmonic at the Petronas Twin Towers in Kuala Lumpur, as well as orchestras including Sinfonia ViVA (Tan Dun), Sydney Symphony (Tchaikovsky), Melbourne Symphony (Saint-Saëns), West Australian Symphony (Haydn) and the Tasmanian Symphony (Kabalevsky). He has worked with conductors Arvo Volmer, Rumon Gamba, Paul Mann, Frederico Cortese, Peter McCoppin and Graeme Abbott. 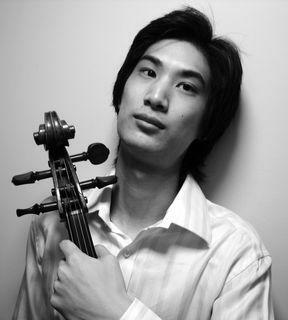 As a recitalist and chamber musician, Pei-Jee Ng regularly performs in the Elder Lunch Hour Concert Series in Adelaide and has given recitals at Australia House in London, the Jurlique Herb Farm Concert Series, Academy of Melbourne Mozart Series, Blackwood River Chamber Festival and the Melbourne Symphony's KPMG Rising Stars Series. Most recently he completed a 16-city recital tour of Australia with his twin brother cellist Pei-Sian Ng and pianist David Tong . Pei-Jee Ng plays a Jean- Baptiste Vuillaume cello of 1844.